We are an Oregon-based business, sourcing ingredients grown on US soil and supporting the local economy, while providing you with nutritious and absolutely delectable meals to cover all your needs, in the event of an emergency! Based on 3 staples, oats, beans and fruit, our recipes are made up of ingredients which are processed right here in Oregon. Our oats are Gluten-Free, made from seeds which have been cleaned, dehulled, lightly roasted, steamed and flaked, while all our beans precooked, dehydrated and flaked here in Oregon. Black Bean Soup: A piquant blend of Black Beans, Herbs & Spices! Our emergency food supply is Vegetarian, Kosher, Gluten-, Dairy-, Nut & GMO-FREE! 10, 20, 30 Years To Come! Some processors, using identical ingredients and packaging assert a 30-Year Shelf Life. While we are confident that ours will last you just as long, our suppliers have used their products after it was stored for 10 years in just paper, so we feel more confident with a 10 Year Shelf Life. ● PREPARATION IS A VIRTUE: Don’t get caught like a deer in headlights when a natural disaster strikes! Maintaining a well-stocked pantry is never enough, as canned food and fresh produce have short expiration dates, while they also don’t last for more than a few meals. 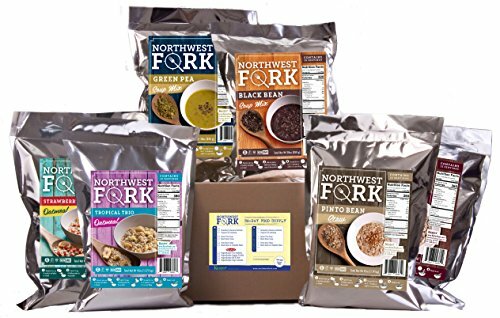 At NorthWest Fork, we are proud to present you with a nutritious, 30 Day emergency food supply, to ensure you maintain a healthy meal plan, even during the most trying of times. ● TREMENDOUS VARIETY: Emergency food shouldn’t be bland! 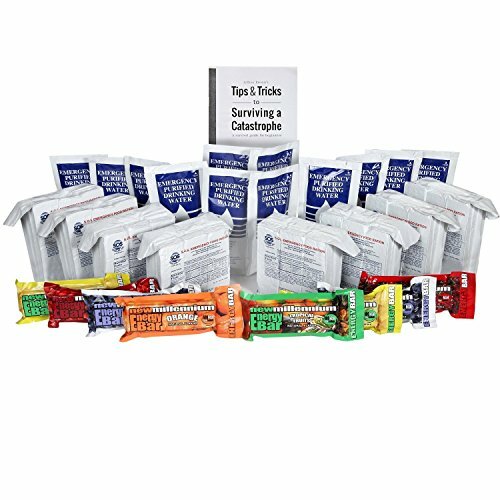 Our 30 Day Emergency Food Supply contains 15 servings of each of the following recipes: Strawberry Banana Oatmeal, Tropical Trio Oatmeal, Seasoned Green Pea Soup, Black Bean Soup, Pinto Bean Stew, and Black Bean Chipotle Stew. Armed with this amazing food selections, you’ll long for every last scoop! ● 10-YEAR SHELF LIFE: Who knows what the next decade might bring? No one does, but you can at least be proactive and fly through the next ten years, maintaining your peace of mind and saving your sanity, when others might be scrambling for last-minute preparations. Consider buying your 30 Day Emergency Supply as investing in food insurance – would you risk going without food for even a SINGLE day? So Click Add To Cart Now & Stock Up! ● FLAVORFUL & HEALTHFUL? YES PLEASE! : All our ingredients are natural, vegetarian, Non-GMO, Kosher and sourced from local, Oregonian suppliers! Our oats are certified Gluten-Free, making our emergency food supply a perfect choice with those suffering from gluten allergies, or adhering to a gluten-free diet. Most of the food used in our recipes is grown in the Pacific Northwest and is hand-picked by Oregonians, to ensure every last pea, bean and oat flake live up to our high quality standards! 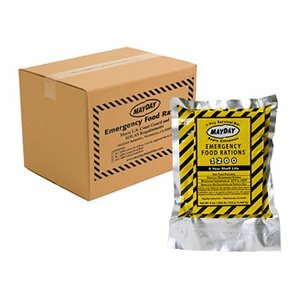 ● MAXIMUM FRESHNESS: Each 30 Day emergency food supply is packed once your order is placed, to ensure you get a fresh, long-lasting batch! All food is hand-packed by locals in a processing plant licensed by the Oregon Department of Agriculture, under stringently controlled conditions. Our food is contained within Mylar Bags with O² Absorbers, preventing oxidation and qualitative degradation, while in storage. When rehydrated, each serving makes a FULL pint of food, simply by adding hot water!